International Shia Day is an annual observance dedicated to one of the two major branches of Islam. Its main goal is to combat the marginalization of and violence against Shia Muslims who are an underrepresented minority in most countries. Islam is historically divided into two major branches: Sunni Islam, which makes up 75%–90% of all Muslims, and Shia Islam. While Sunnis believe that the community should be led by a caliph elected by its members, Shias believe in twelve divinely ordained leaders, known as the Twelve Imams. According to Shia Islam, Muhammad appointed Ali ibn Abi Talib as his rightful successor. Ali was the first Imam, and the remaining eleven Imams were his descendants. Iran is the only country where Shia Islam is a state religion. Shia Muslims are a numerical majority in Iraq and Bahrain, and there is also a large population of Shia Muslims in Yemen, Lebanon, Saudi Arabia, Kuwait, Turkey, Pakistan, Qatar, and Afghanistan. The relationship between Sunnites and Shiites has always been strained. In much of the Arab world, Shia Muslims have been treated rather poorly by the Sunni majority and/or elite. For example, Shiites have been traditionally suppressed and harassed in Yemen, Egypt, and Indonesia. During Saddam Hussein’s rule in Iraq, local Shias were treated horrifically despite being the majority. Hundreds of thousands of Shia Muslims were expelled from the country or killed. 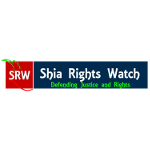 International Shia Day was initiated by Shia Rights Watch, a US-based non-profit NGO that works to defend justice and rights for Shia Muslims around the world. Celebrated on June 12, it strives to raise public awareness about violence against Shia Muslims and to combat discrimination against Shiites in the countries where they are a repressed minority.